. 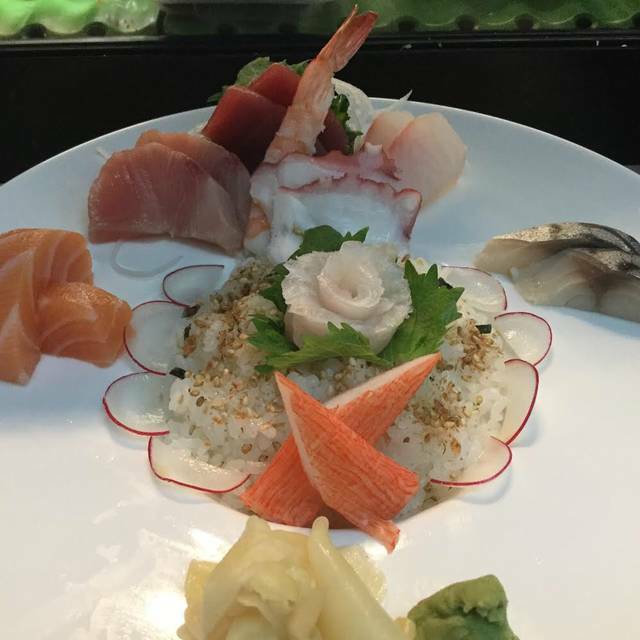 After 6:30pm street parking is free,SUNDAY ALL DAY STREE FREE PARKING ....parking garage at 840 at sansom st ..
Koto Sushi is a new BYOB Japanese restaurant located blocks from Washington Square, the Liberty Bell and Independence Hall, right in the middle of Jeweler's Row. 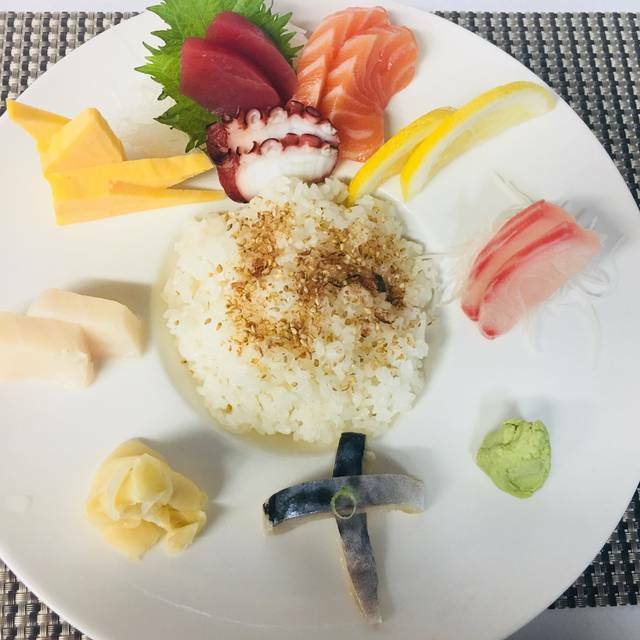 Koto Sushi's menu offers a variety of fresh sushi, sashimi, signature rolls, and Hawaiian-style poke, as well as delicious dishes off the hibachi grill. If you're coming to Koto Sushi after 5:00pm, we will pay for your parking at 625 Sansom Street when you spend $60+ (for dine in only), just bring us your parking ticket. 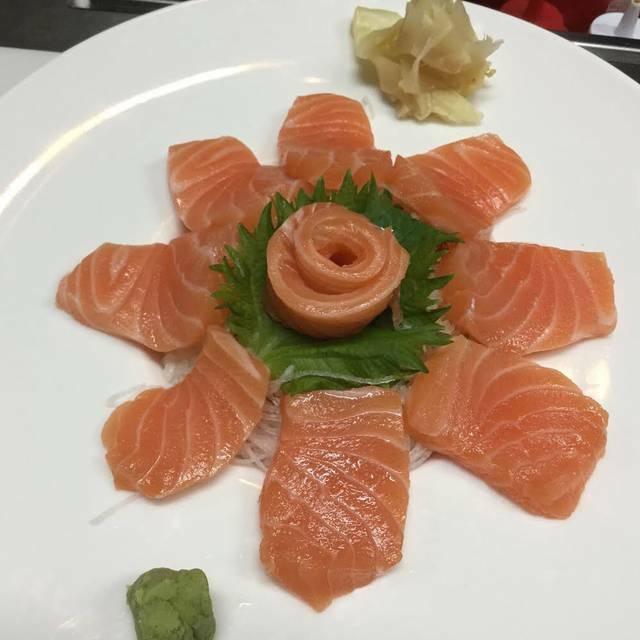 We look forward to serving you the best sushi in town at Koto Sushi! Their sushi is some of the best in Philly. We usually order the Sushi Sashimi combo for two and there is enough fish for both of us. If you don't want to spend a couple of hundred bucks, this is the place for you. Second time here and loved it again. Perfect for dinner before a show at the Walnut street theater, it's within walking distance. 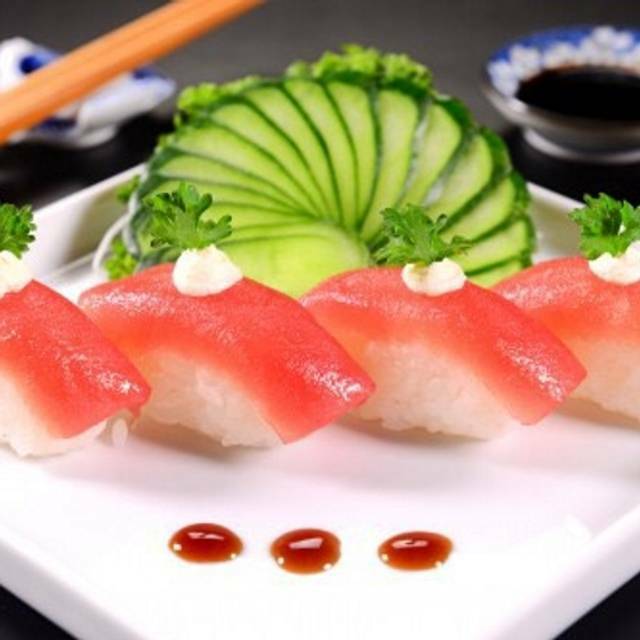 Sushi is always fresh and delicious. Tried the shumai.appetizer this time which was also yummy. Pleasant staff, nice ambiance and a Byob too. There was a lot of choices which is great since I do no eat sushi. The 3 people I went with did and loved it. The poke bowl was delicious and ingrediants fresh. My only complaint is that the ginger side salad was so tiny! It needs to be at least double to triple the size. The owner does everything and was so nice. Also, no handicap entrance. Can the restaurant at least make a ramp? Thank goodness I was able to walk up the stairs with help since I use a walker because I would never have been able to eat there. The staff was attentive and courteous to us! They even gave us a free appetizer. Sushi and sashimi were fantasic. The food was just okay. We’d go again, but only if we were in the area and hankering for sushi. It’s not the sort of place you’d make a special trip for. More of a reliable neighborhood joint. So so good!! Reasonably priced! Can’t wait to go again! The sushi was so fresh and delicious it just melted in your mouth. The Caterpillar roll and tuna roll were the best. The fresh lobster roll was great too. Definitely coming back here before our next show at WST. Wish we lived closer so we could eat here more often. BYOB. As always, the sushi is great, great service, friendly servers, all around great meal! We ate sushi, and had an awesome miso lobster soup for an appetizer. Good people... Thanks Jojo... Fish great... Fresh flavorful. Sashimi large pieces. Selection of fish moderate, but all good great value. Jewelers Row, Sansom. Great food, attentive service. Had sushi and the individual nigiri as well as rolls were tasty and inventive. Very reasonable prices. Looking forward to visiting again and again. Had a great experience! Took my 9-yo out for a birthday date to this location and Walnut Street Theater. The staff we very friendly and efficient. Food was delicious and not expensive. Following our meal our server asked if we were in the area for Christmas shopping, and I explained the reason for our visit. He excitedly rushed to bring a mochi dessert and sing happy birthday to my daughter. Then, he surprised her with a balloon animal, which was totally unexpected and made her feel so special! There were a few other parties dining but the restaurant was calm, cozy, and comfortably quiet. I would definitely recommend this for a bite between shopping or before/after a show at the theater. We will definitely be returning! Food was fantastic and the service was impeccable! Great location right on jewelers row - beautiful lights up for the holidays! My two friends and I decided to try this spot because our usual sushi place had no open reservations. Let me tell you, we will be switching our "usual" to this spot for sure!! The service was absolutely exceptional, never had nicer service. The sushi came out relatively fast but they definitely took their time to prepare it. It was well worth it and super fresh. We are excited to be back. Also it is a BYOB. Had lunch here before seeing a show at Walnut Street Theatre. Had a wonderful lunch. Waiter was so friendly and helpful. Had a great time. Live in SJ but will make another trip out to dine here in the near future. Delicious sushi and poke. Very fresh and tasty. Great meal, well prepared, pleasant waitstaff, cooked to order and BYO. Very reasonable price. A nice touch is the chef comes out and talks to everyone and brings out a taste of a specialty he has created; it was a white fish salad completely different from a deli or diner. Food was excellent... very fresh and delicious. Service also excellent and the staff were so very nice and thoughtful. Will return soon. 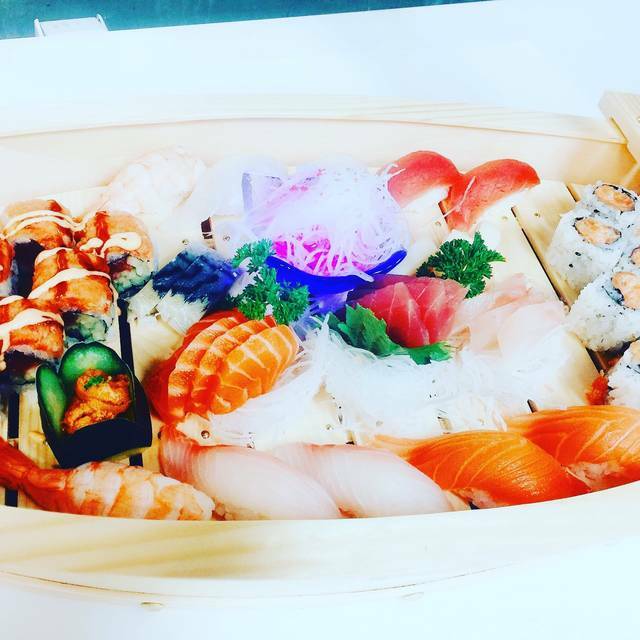 Our sushi is always delicious. Whatever we order is yummy. the service is great and the owner is a delight. Always feel very welcome. WE go there often and it's always a pleasure. Very good sushi with attentive service. JJ the owner made sure we were 100% satisfied with our experience. I'll be back soon! Awesome sushi and appetizers! Really cool restaurant with great service! We will definitely be back! The owner/host is wonderful! Be prepared, it’s BYOB like so many other places in Philly! Great food and atmosphere! Will definitely be back! This was a great restaurant! Prices are reasonable. Service was amazing and the food was even better! I would definitely recommend! Great meal prepared to order- steak teriyaki- one medium rare, one well done. Chef makes a secret dipping sauce and the chef comes out and talks to people. This is a find. The chef JJ was super friendly and came around to introduce himself. The menu was large and everything we had was great. 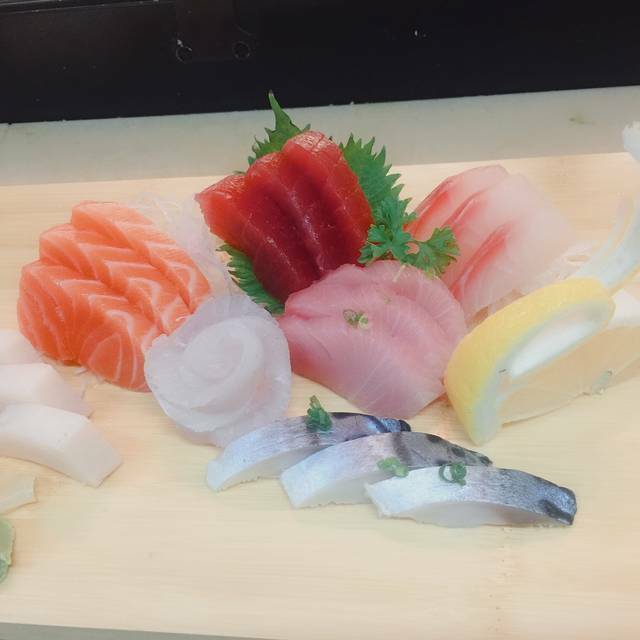 Delicious and fresh sushi and sashimi !! We dined with a person who loves Asian food, she said it was excellent and we agree. Staff was very attentive, food was delicious. The menu is extensive however it is a BYOB. They will direct you to the nearest liquor store. First time visitors & won’t be our last. Friendly service, nice clean interior. Sushi, salads & dumplings were wonderful. Beautifully plated! The manager Jay Jay stopped by and he was very friendly and helpful. 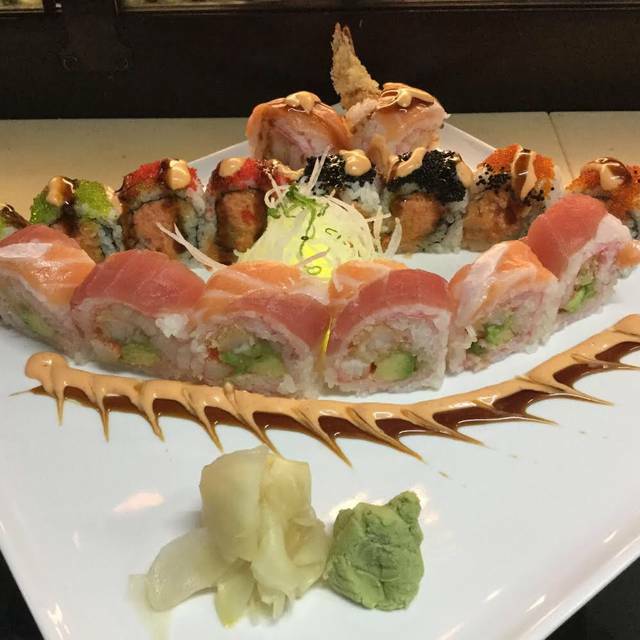 We had the Shrimp Dragon roll, Lobster roll & Salmon roll—so fresh & delicious. Street parking & lots of nearby lots. Worth a visit. BYOB. Fantastic sushi! The owner JJ was once a sushi chef in Manhattan and it is reflective in the high quality of his sushi! Must visit this gem of a joint hidden in Jeweler’s Row. The food was good. The waiters were nice. The Chef came to our table to introduce himself to us, he also took picture of us which was nice. The sushi was great. Loved it. The Tuna Avocado salad is delicious. Amazing food and great service. Owner truly cares and staff is great. Sushi was some of the best we have ever had. We are happy to live local and will definitely go back. 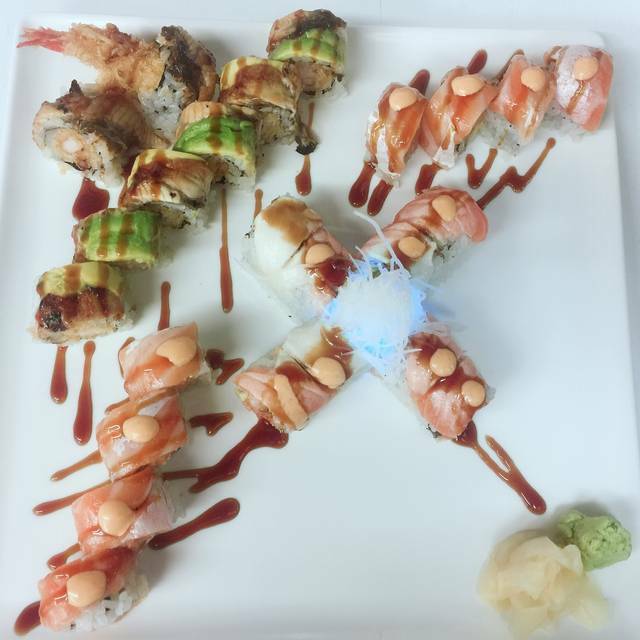 The sushi rolls were great and the service was extremely friendly. Highly recommend!